“Whole person education” is what Silliman offers. It is the holistic development of one’s competence, character and faith. It is the approach to learning that is encapsulated in its tri-logical ministry of teaching, healing and preaching. 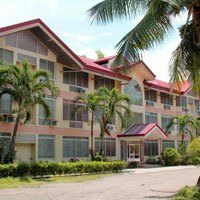 The University is an ideal choice for students in search of the best of a laid-back environment located within the progressive and safe University Town of Dumaguete. Nature is at its best on Silliman’s 62-hectare campus. Over 300 age-old acacia trees dot the sprawling campus that is cradled with views of the Bohol Sea to its east and the Cuernos de Negros Mountains to its west. On our campus, students can freely bike around, skate, or enjoy an early morning or afternoon jog. Here, they develop strong and lasting bonds of friendship with each other. During weekends, or after an exam week, some plan a trip to nearby tourist spots listed among the Philippines’ must-visits: San Jose for the Twin Lakes, Siaton for Lake Balanan, Bais for the dolphins, Apo Island for snorkeling, diving and the marine reserves, and Oslob for the whale sharks. How Far Is Silliman University? Metro Manila (the major hub of international flights) and roughly five hours by boat from Cebu City (which hosts both international and domestic airports). Landing in Dumaguete, the University is roughly 15 minutes away from the airport. Dumaguete City is a tourist spot in itself. It is considered one of the best places in the Philippines for retirement and relocation, offering practically everything that makes up high qualify life for families – reputable schools, restaurants and coffee shops, recreational and sports facilities, shopping centers, banks, places of worship, and hotels and resorts. What Dumaguete has become is said to be largely due to the prominence of Silliman University. 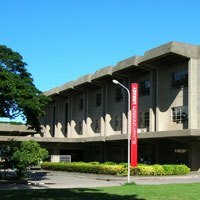 Library – The Robert B. and Metta J. Silliman Library is one of the country’s biggest libraries. It was awarded Most Outstanding Library, joining the ranks of the libraries of the Asian Development Bank and the International Rice Research Institute. Hosted inside its three-storey structure are centers established with the assistance of international organizations: World Bank Knowledge for Development Center, American Corner (of the United States Embassy) and the EducationUSA Satellite Advising Center. Dormitories – Two types of dormitories are home to hundreds of our students on campus: regular dormitories (with a capacity of 100) and cooperative dormitories (cottage-like; with a capacity of around 30). These dorms offer air-conditioned rooms, common or private toilet and bath, study lounges/common areas, and mess halls. Curfew is in place in each dorm. A dorm adviser looks after the welfare of dormers, including facilitating regular devotions and inter-dorm recreational activities. Auditorium – Culture is at its best at the Claire Isabel McGill Luce Auditorium, a donation of the Henry Luce Foundation of Time Magazine. 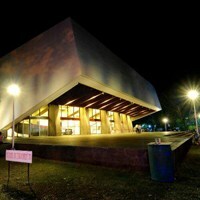 It is considered the most beautifully designed auditorium outside Manila. Every semester, Silliman brings in performing artists of national and international caliber, in a showcase of talent in dance and music. Of course, along with this is the University’s vibrant tradition in visual arts and in literary arts, pioneered by Asia’s longest running workshop, the Silliman University National Writers Workshop. Food Services – The University has a central Cafeteria and several food kiosks around the campus. Students in the regular dorms are catered by the Cafeteria, while a separate cook prepares the meals in the cooperative dorms. Some dorms provide students the option of eating out. 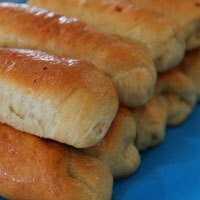 One of the food items that the Cafeteria is most known for is its cheese bread (see photo). 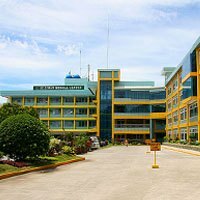 Hospital – Right smack on the campus is the medical facility of the University, the Silliman University Medical Center, the most modern hospital in the province where each student is covered by a medical plan. 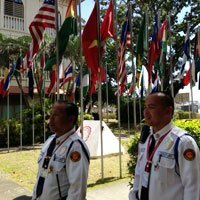 It is operated by the Silliman University Medical Center Foundation, Inc. The Medical Center offers a wide range of quality care across numerous areas of medicine – surgery, obstetrics, pediatrics, psychotherapy and internal medicine. A University Clinic is also located within the complex where students, faculty and staff can go to for immediate medical care. 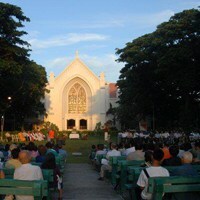 Church – The Silliman University Church is central to Silliman education. It represents a strong commitment to the Christian faith. Nurturing faith is in the heart of whole-person Silliman education. Also spread across the campus are formal and casual venues of worship, places where students of all faiths and denominations are offered opportunities for deep reflection by themselves, or with groups that share joy in reflecting on the Scriptures and articulating praise in songs. Campus Orientation – A select group of students known as the Corps of Campus Ambassadors is available to give free tours and orientation about Silliman University. 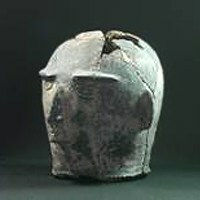 They are located at the Information Booth along Hibbard Avenue and can be contacted at [email protected]. Security – The safety and welfare of our students is among our primary concerns in the University. We implement a “No ID, No Entry” policy, and station Public Assistance and Safety Officers throughout the campus, at our gates and on a roving arrangement. WI-FI Services – The University is embarking on an intensive wi-fi densification program. This will supplement existing hotspot areas on campus and allow for students and teachers to access the internet on their mobile phones or laptops just about anywhere on campus. 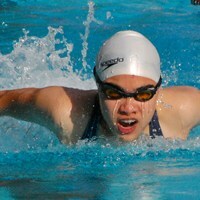 Sports Facilities – Silliman is not left behind in sports. It is equipped with its own swimming pool, gymnasium, ballfield, archery range, open fields for soccer, football and track and field, and athletic courts for basketball, volleyball and lawn tennis. It is in archery that Silliman has produced three recent Olympiads.